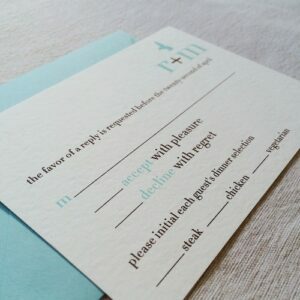 RSVP wedding cards, offering you a great way to organize your guests and their responses to your invitations. Your RSVP wedding cards can be styled to tie in with your weddings overall theme. With our professional design team be confident in the fact that we can offer you designs that will get you excited. We offer a range of sizes for your RSVP wedding cards which are all printed on 350gsm silk card.